We will work with your designers to incorporate our equipment into your installation giving you an interactive experience for your audience. 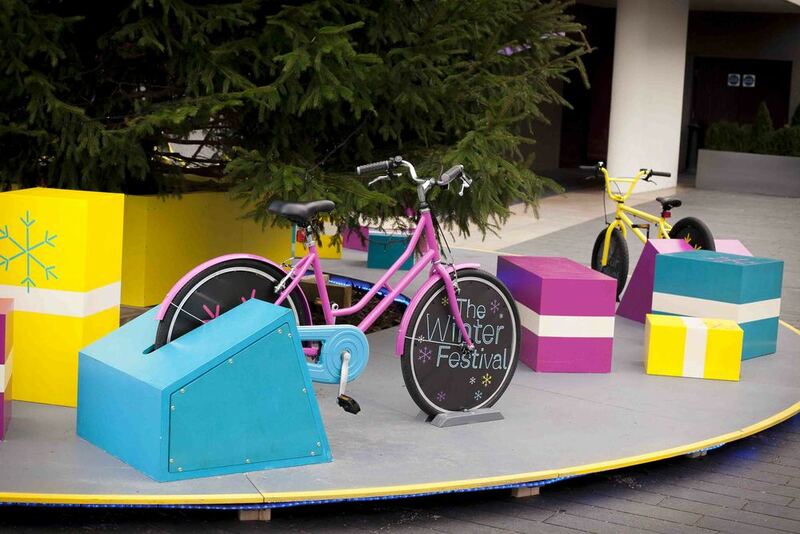 Our Bicycle Powered Christmas Trees are the perfect engagement activity for the festive season. Bicycle-Powered Christmas Trees can be set-up in any location and can be designed to be left unsupervised in a public area. 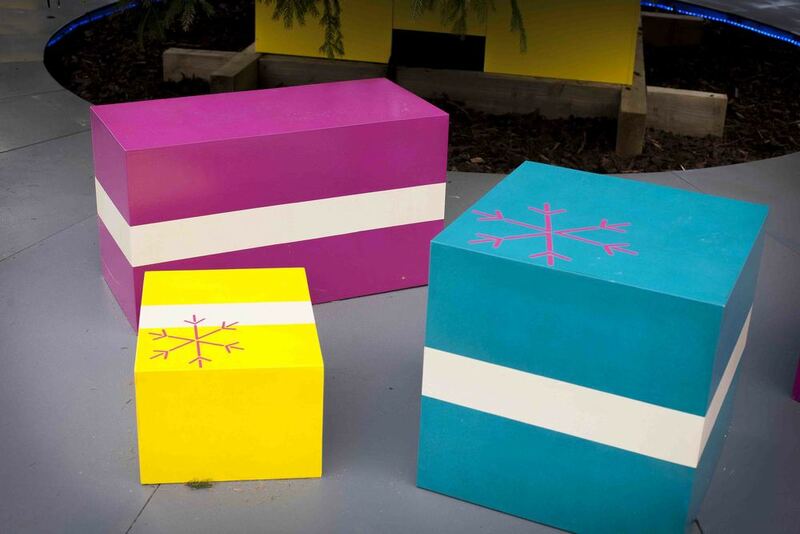 They are an amazing way to bring themes of green energy & sustainability to Christmas. Adults & children are encouraged to interact with the installation by pedalling to power the tree lights. We can include hand cranks for small children and wheelchair users. We've previously been commissioned by the Southbank Centre in London to develop two Christmas tree snow globes; using bicycles and hand cranks to blow the snow. The trees were partially lit by bicycles, while a hand crank powered seasonal poems through speakers placed around its base. Our Bicycle Christmas Trees have been described as a "spirited, thought-provoking response to the season of contemplation and highlight global concerns about energy and waste, encouraging a hands-on approach to art". There are many different configurations of Bicycle Powered Christmas Tree possible, from a single bicycle powering a few LEDs to a large custom installation in a public area. Get in touch to discuss the scale of your event. We can help bring your ideas to life. And then human-power them! Our team can provide detailed 3D drawings or we can work with your designers to design suitable structures for your light installations. We have helped build and design art installations, interactive theatre sets, light installations for festivals and corporate team building events for clients all over the world. Whether your project is for aesthetics or you are interested in reading and displaying the energy generated from cycling or hand-cranking, we can help create something unique. We have worked on a number of large installations around the world and have built equipment capable of managing power from a large number of bicycle generators. Collaborating with multi-national corporate clients, local organisations and sound and light designers to co-produce interactive installations on a large scale. We have experience working with grid-tie technology alongside other sustainable sources of energy generation. Get in touch to add human power to your installation.